This is by far my favorite time of the year, with all the gift-giving and get-togethers! But it can quickly become problematic, especially because you can’t visit friends and family empty handed. Homemade hostess gifts are my go-to solution, and these are some of the things that have been particularly well-received so far. Making scented candles is easier than you’d imagine – and you can make a bunch of them at once. Wrap them in t-shirt scraps and gift away! 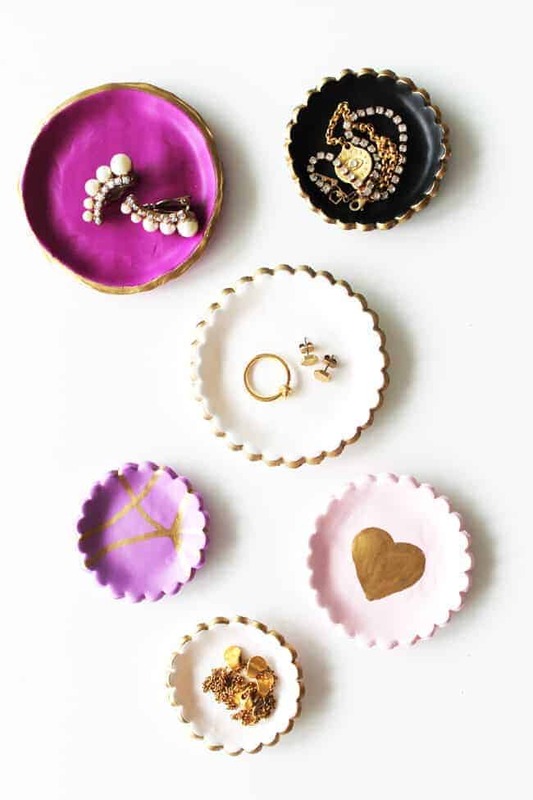 Another thing you can make in bigger batches: these pretty clay jewelry dishes, decorated with festive gold, make for great DIY hostess gifts. 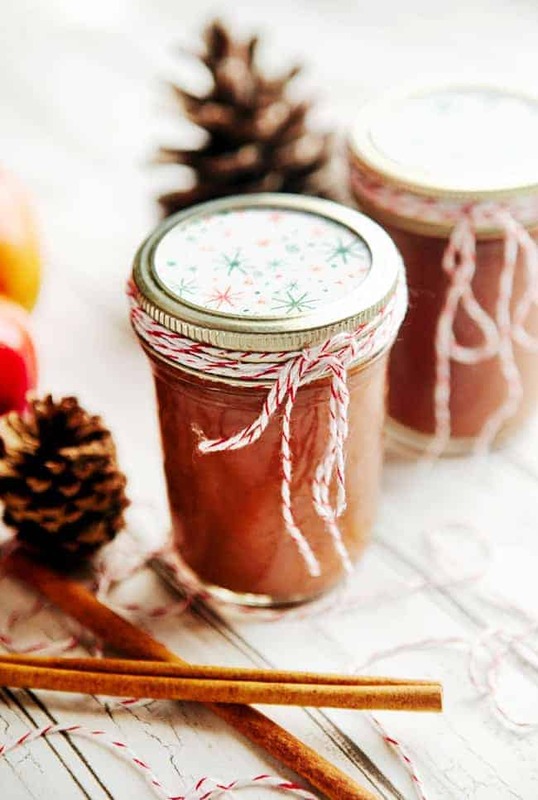 No one could say no to a jar of the tastiest homemade apple butter! Seriously, it’s a proven fact. Every woman deserves some pampering, especially during the busy holiday season! 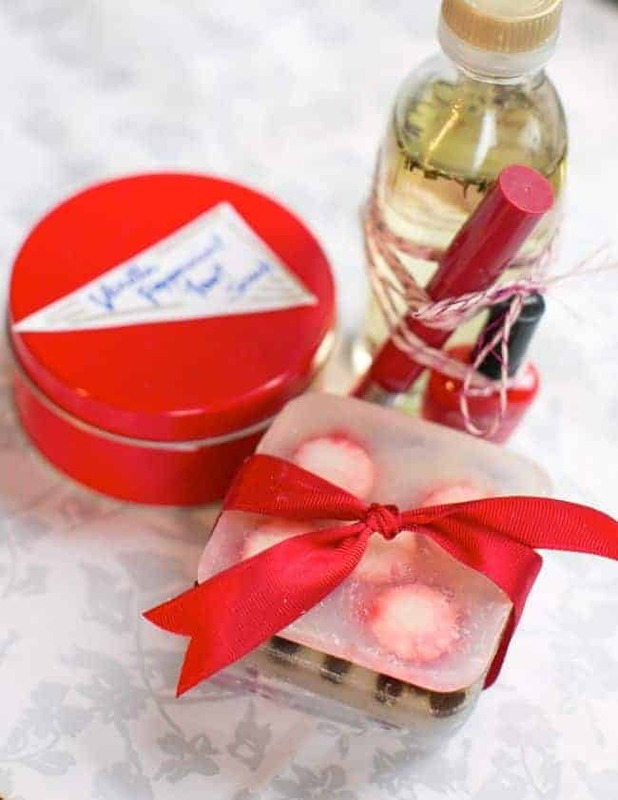 This DIY beauty gift basket features a homemade peppermint foot scrub and tons of other goodies. 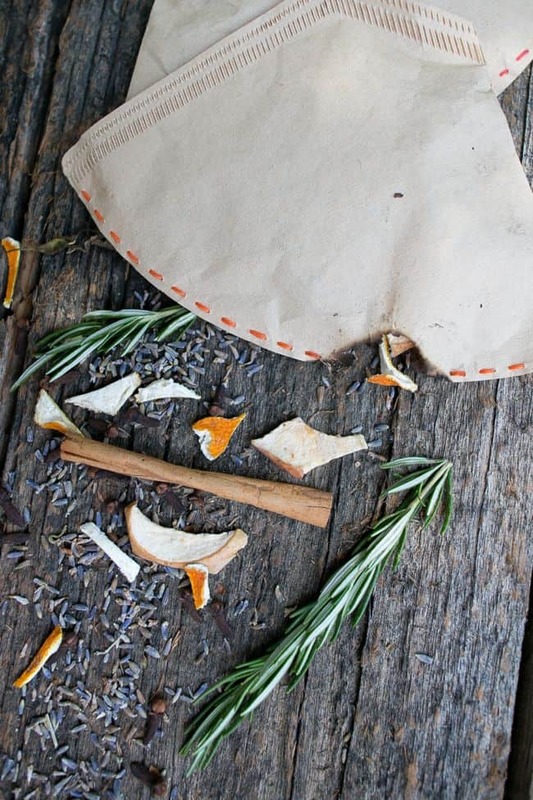 It’s super easy to make an aromatic firestarter by filling coffee filters with fresh (or dried) herbs, citrus and spices. Sew them shut and you’re done! I think I’ll make some of those clay jewelry dishes for myself! So cute! and I’ve never seen that firestarter idea, how creative. These are great. I’m going to pin them because I’m hosting a few parties this holiday. 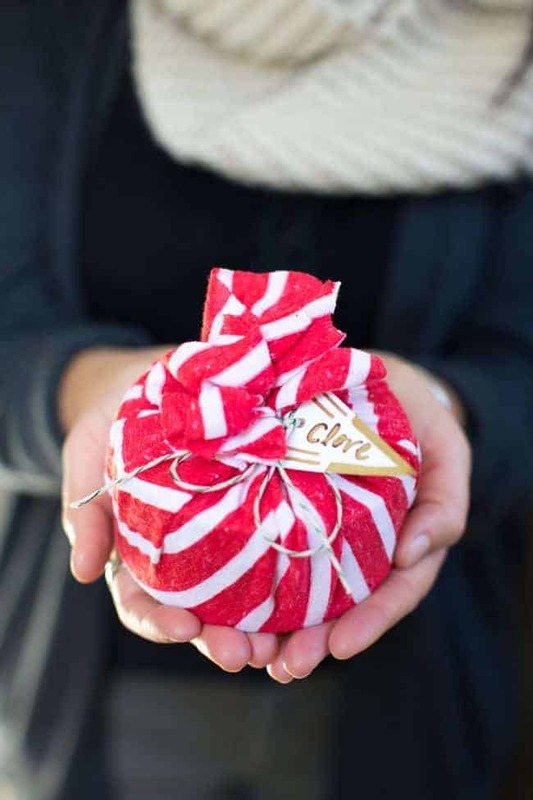 These are all very cute DIY gifts! I love the clay dishes the most, I want to make some for myself.